This article is 706 days old. A Windsor woman is $100,000 richer after winning the top prize on a scratch ticket. 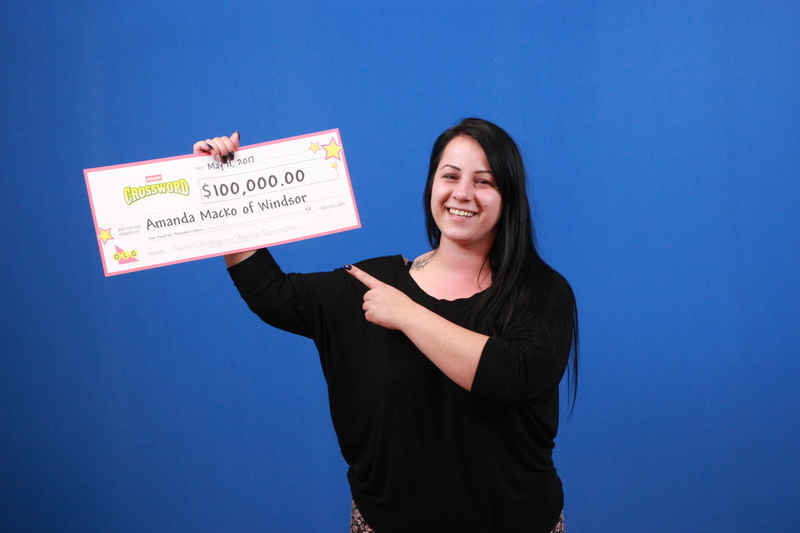 Amanda Macko of Windsor is celebrating after winning the $100,000 top prize with Instant Crossword Tripler. Amanda won $5 and used that money to purchase the last ticket left in the tray. The winning ticket was purchased at Petro Canada on Tecumseh Road in Windsor.